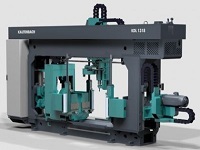 The company, with headquarters in Lörrach, Germany, is one of the leading manufacturers worldwide of machines for the processing of steel, aluminum and other non-ferrous metals. We provide a wide product range of about 60 different products. 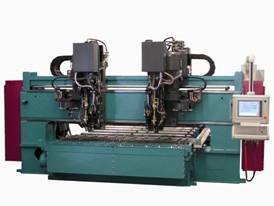 The various machines include - bandsaw machine, circular saw machine, coping robots, marking systems, profile drilling machine, plate drilling and cutting centre, punching and shearing system, shotblast systems and welding robots and has application in industries like metal production, metal construction, mechanical engineering, plant engineering and construction, vehicle production, etc. A tight network of national and international service partners thereby guarantees the presence of a specialist on-site for installation, commissioning and training.